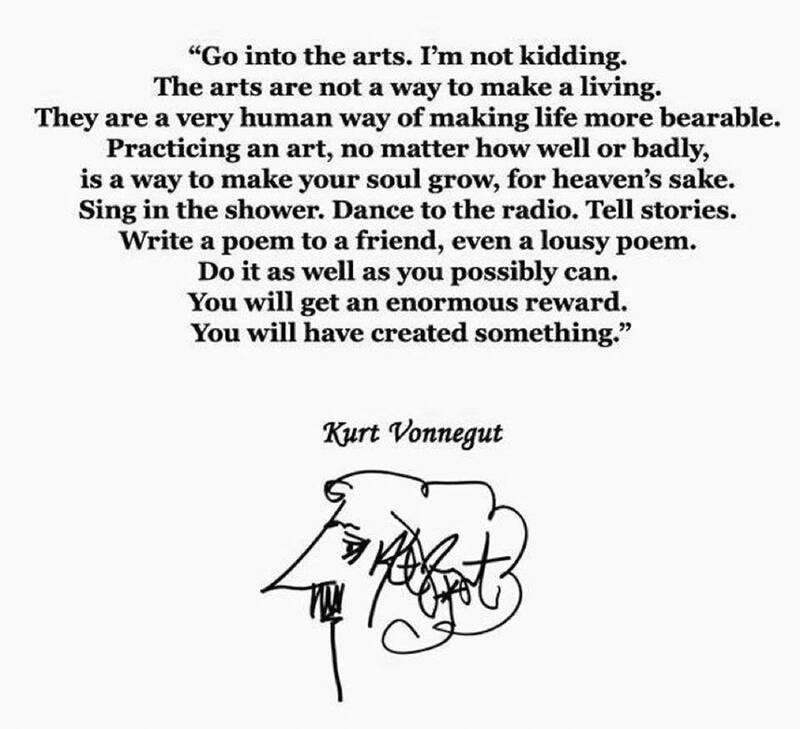 Kurt Vonnegut is my hero. I’ve read nearly every one of Kurt Vonnegut’s books. I love his wry humor and oddball social commentary. So it goes. This Vonnegut quote was circulating on my Facebook feed this week, and the timing couldn’t have been better. Making art can feel lonely and pointless. All artists (and I include musicians in the broad artist category) have dark times of self-doubt. But whether you are making money as an artist or consider it a hobby, you are making something. Perhaps it will not matter to anyone but you. Nonetheless, there is a deep human urge to create something from nothing. As a mother, I feel it is my job to help my kids grow souls. My children both study music, but it’s not because I want them to become soloists with symphonies across the world. They study music to broaden their lives, to connect emotionally, and to develop a sharp mind.